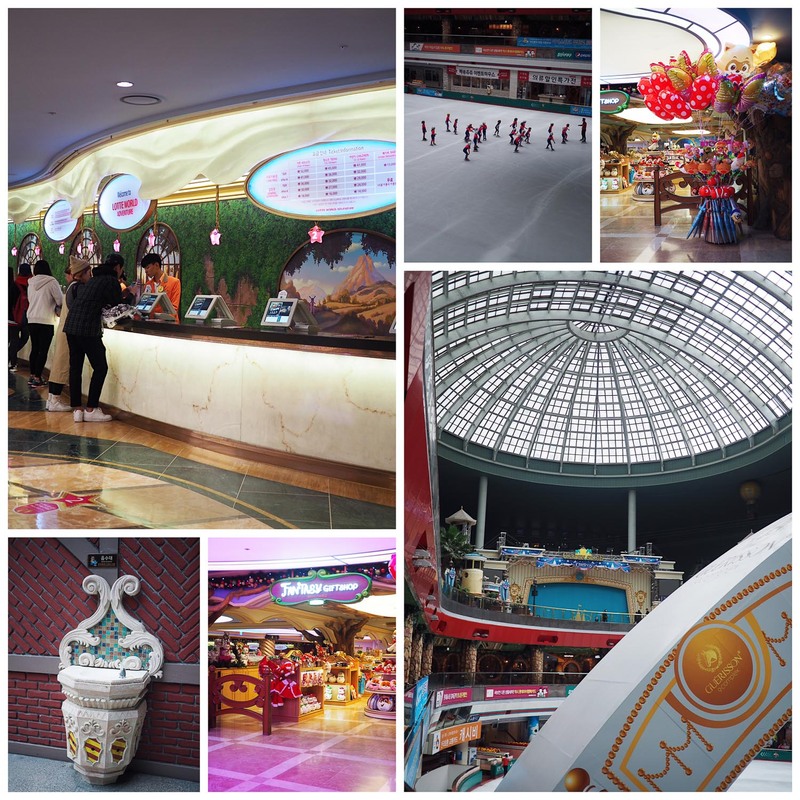 Lotte World consists of the world’s largest indoor theme park (Adventure) & an outdoor amusement park called “Magic Island“. 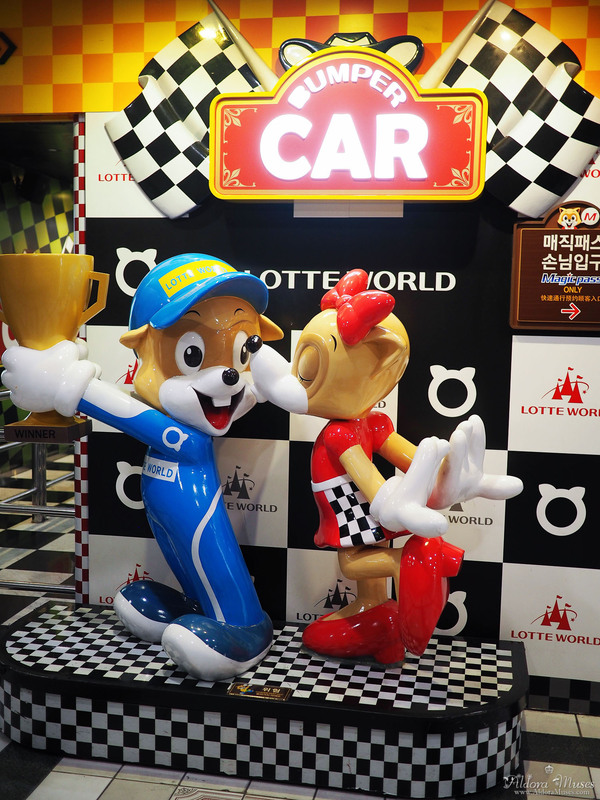 Lotte World is located in Sincheon-dong, Songpa-gu, Seoul. 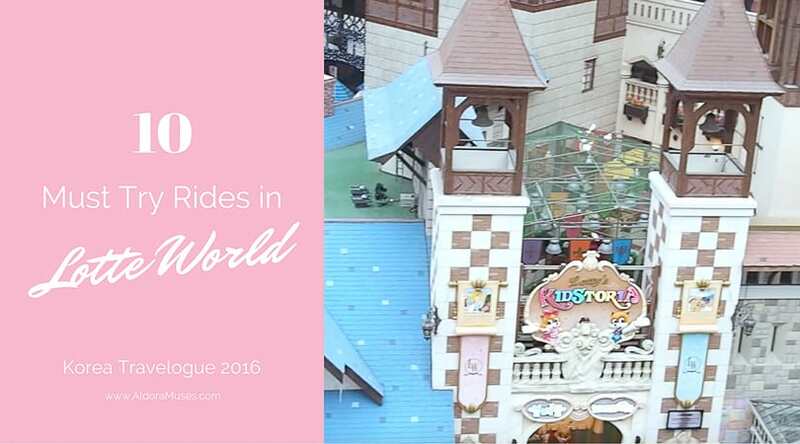 In this post, I will be sharing with you my 10 Must Try Rides in Lotte World. If you’re unaware, I am actually not a fan of over-adventurous rides. Hence the rides I recommend will be more suitable for the faint-hearted like myself. 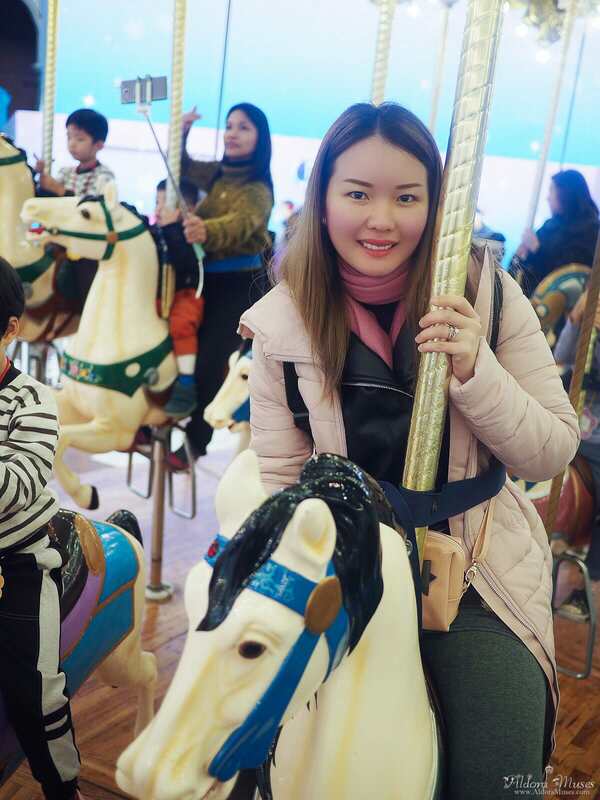 The Camelot Carousel is a graceful run of 64 white wooden horses revolving in a dreamy trail. This ride is apparently very popular among the children as the queuing time was approximately 30 minutes. 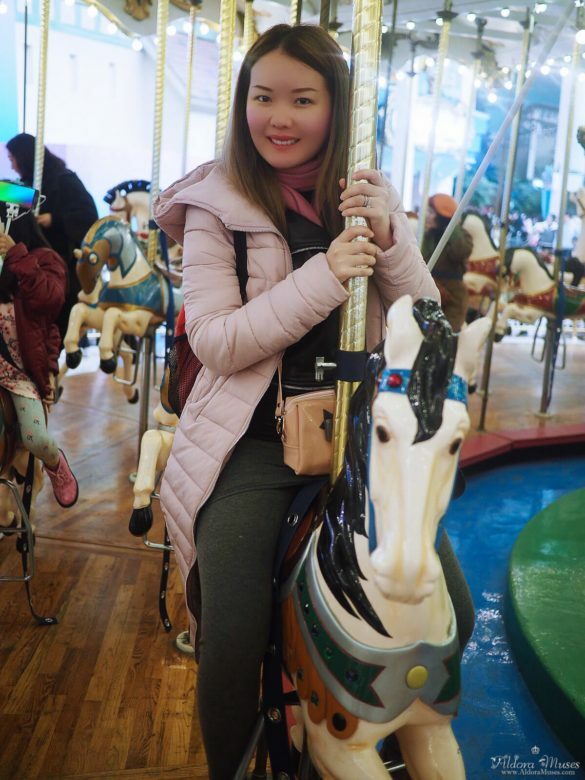 This Carousel was also featured in popular Korean Drama – Stairway to Heaven previously. This is the “upgraded” version of the conventional kiddy Teacup ride. Drunken Basket consists of Drunken Barrels that spins individually whilst the entire ride itself tilts sideways. It was rather unexpected from a harmless looking Teacup ride to spin like crazy. 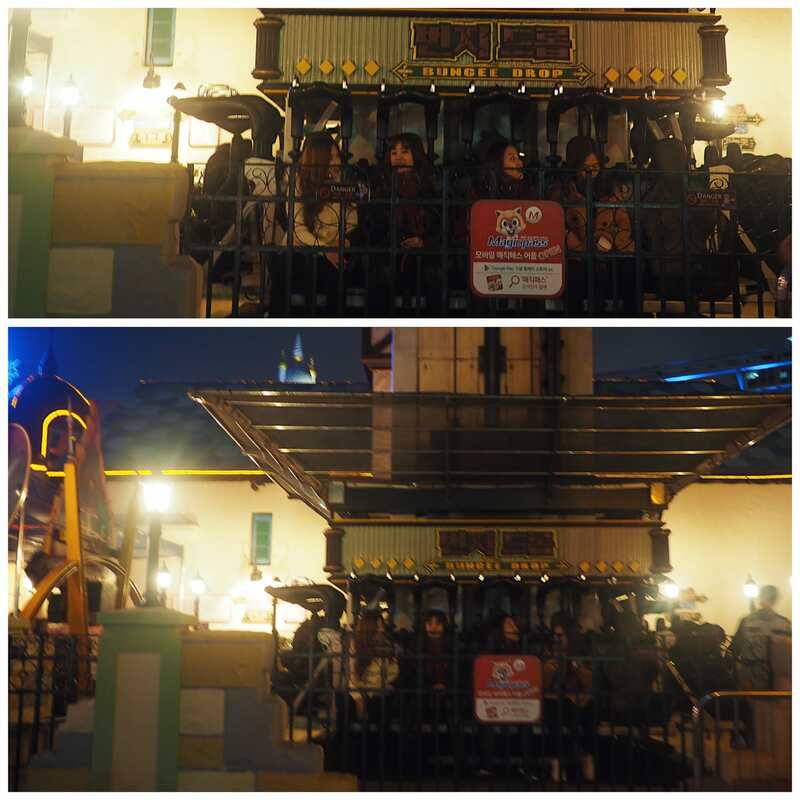 In fact we had to hold on to the handle to stop the individual barrel from spinning as the entire ride tilts. I did get a little bit of “cup sickness” after the ride. 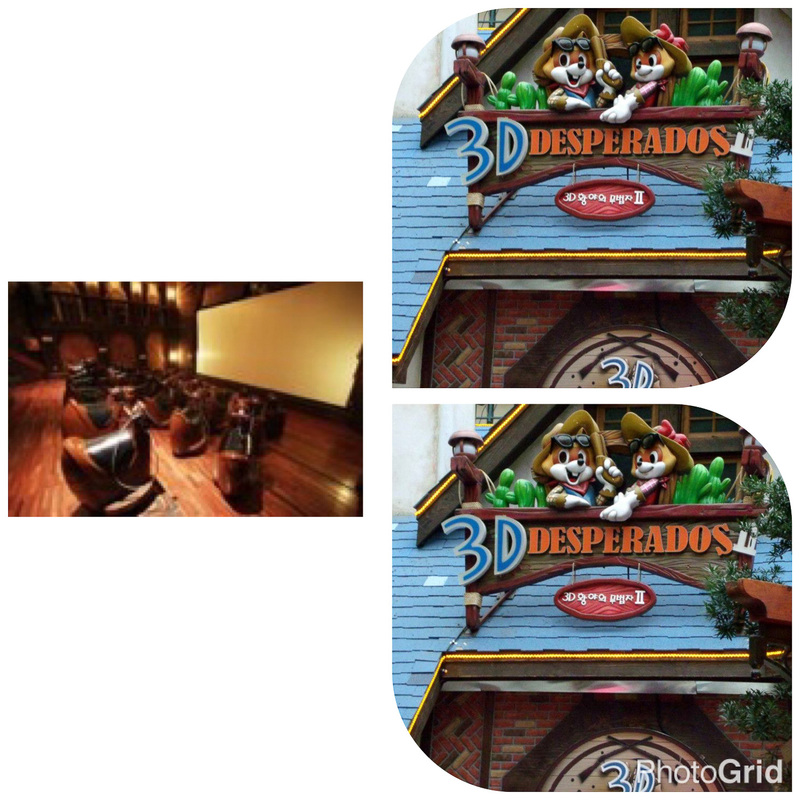 The 3D Desperados is a 3D show screened on a wide IMAX screen theater, where the seats are in the form of a horse. The seats move in all directions in accordance with the screen image. We had great fun watching at this attraction as the stimulation felt so real. Passengers over 120 kg or under 120 cm must sit on a coach seat. A fun-filled ride along the river as you sail along one of Sinbad’s legendary voyage. 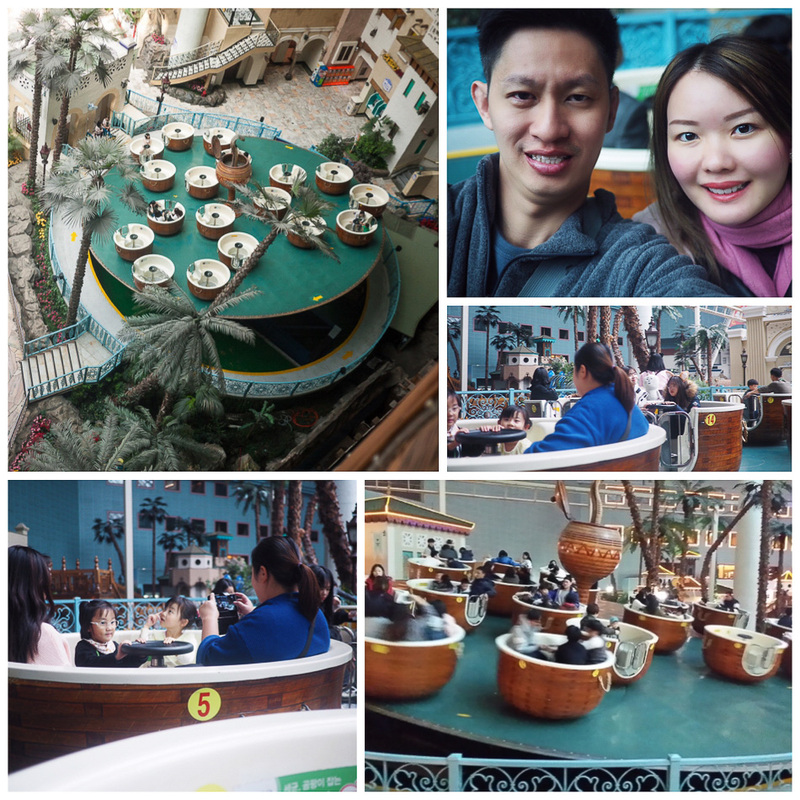 This is a log ride consisting of a 4-seater long boat that travels through a Jurassic Jungle. It is formerly known as “The Marrakesh Express”. This ride looks pretty scary as the slope was pretty steep when the boat took the plunge. I dare not try this ride to be honest but it is definitely a lot milder than the roller coaster rides there. This is another 4D Animation Show similar to the 3D Desperados earlier. Dreamt of being a car racer when you’re young? 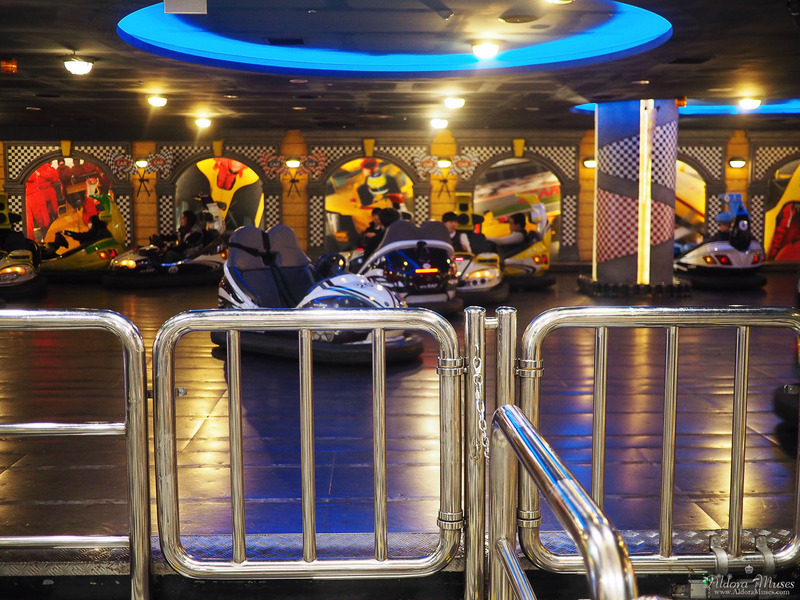 The adult Bumper Car ride is the ideal entertainment for you to satisfy your driving desires and also bump onto other cars in a safe environment. This is the most attractive playing facility in Lotte’s Section and we waited for approximately 20-30 minutes to board this. 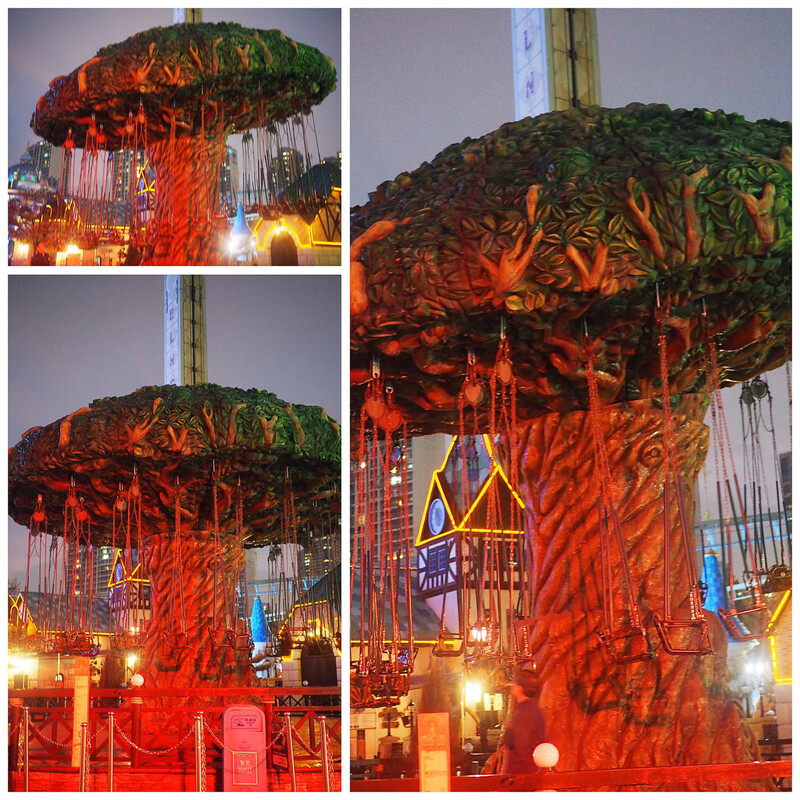 As a perk, you get a bird’s eye view of the entire Adventure Theme Park as well. 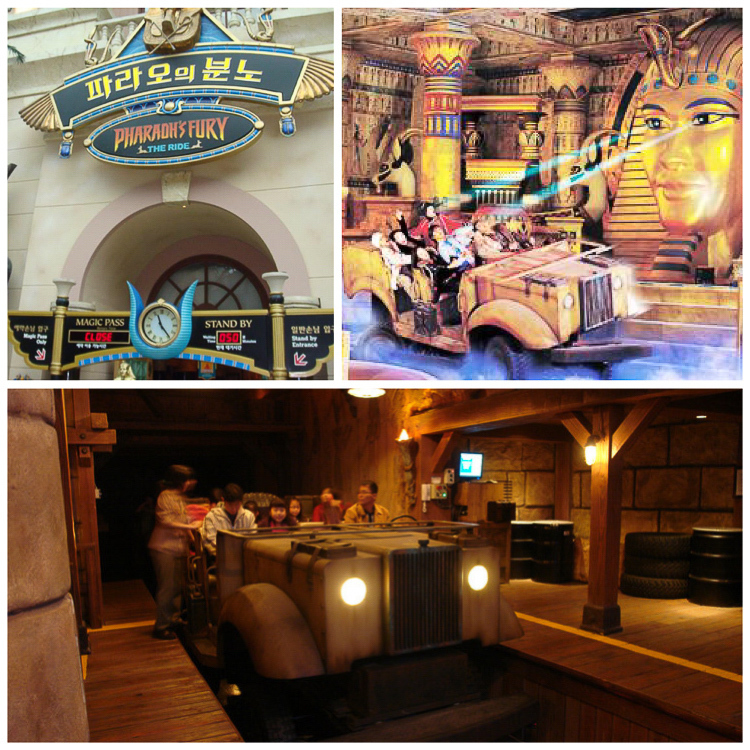 The Pharoah’s Fury is a multi-motion ride where passengers board a jeep and travel through ancient Egypt. The stimulation feels as if we were right at the steering wheel as we journeyed through the entire ride. 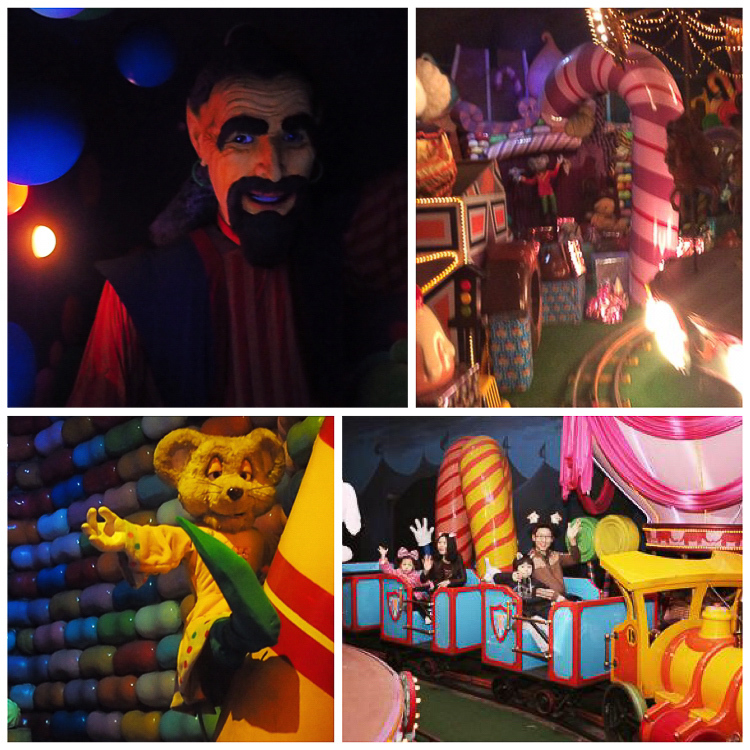 This is a fantasy train ride for underground exploration to fantasy land where sweet candies and cute stuffed animals / dolls welcome you! The hubs find the dolls (especially the clown one) creepy though. He kept calling the clown “Chucky” as we went through the ride (if you watched my vlog earlier). Above are the top 10 rides we recommend. 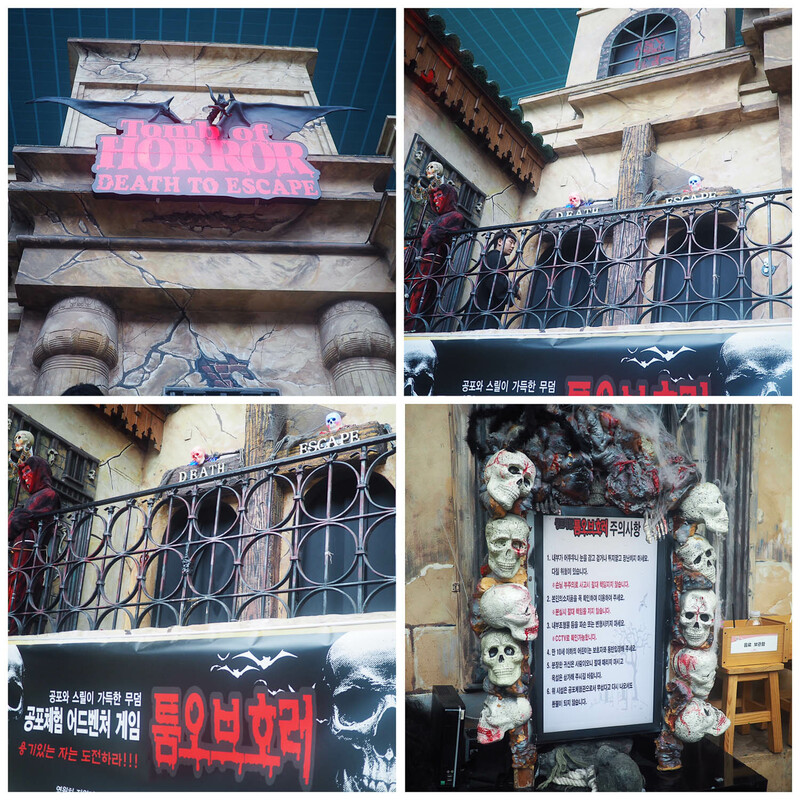 However for those adventurous ones (sorry, age is catching up on us), here are a few of the super scary rides to try. The Giant Loop is a Larson’s Fireball Type Roller Coaster Ride made only of one big loop. Passengers are constantly taken for 360 degree spins in a 14m wide circular rail. The vehicle will stop whilst upside down. 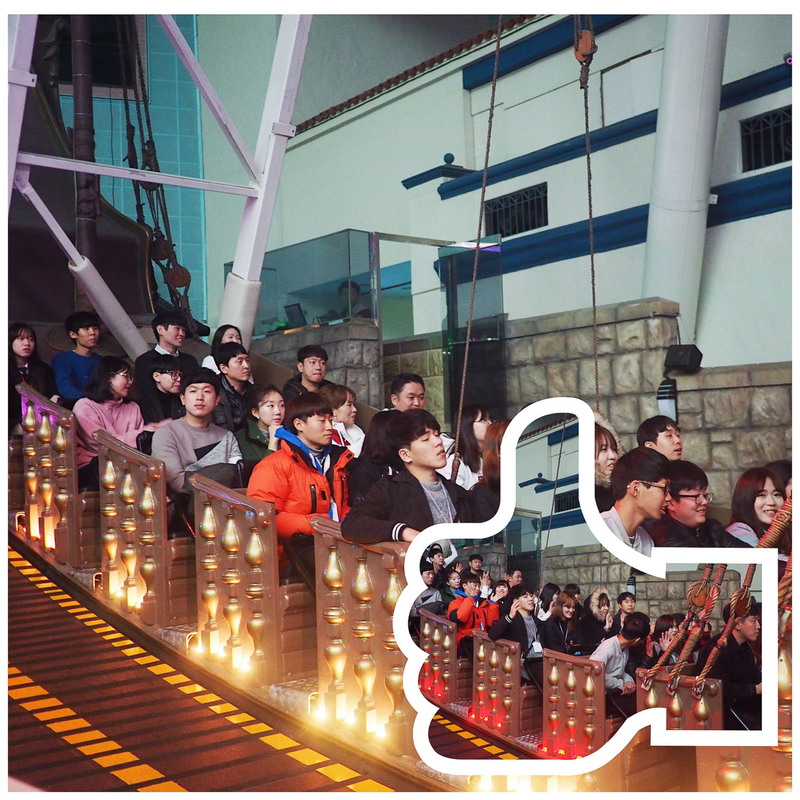 The Conquistador is an Intamin-made Viking ship ride that swings back and forth, almost reaching the ceiling of Lotte World at its maximum height. The seats at the ends of the ship rise 5 more meters and 24 degrees higher than the seats towards the middle. I have motion sickness and hence will avoid this ride at all costs. 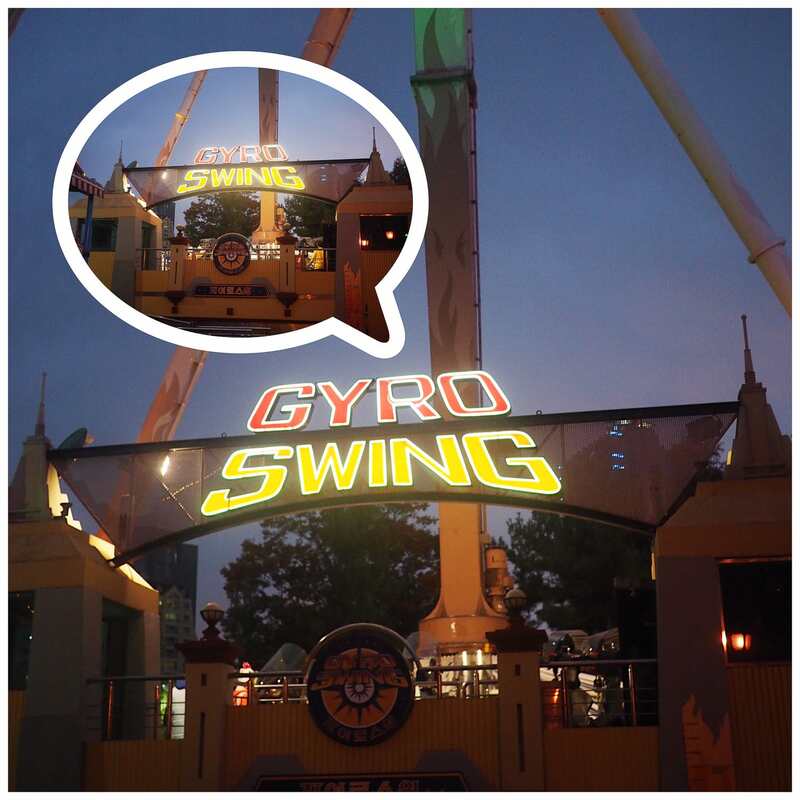 Yes, I’m putting a strict ban on all rides beginning with “Gyro”. My heart is too weak for them. As harmless as this ride looks.. I’m avoiding it because it can cause dizzy spells! Are you Adventurous when it comes to Theme Park rides? Tell me about it in the comment box below! This place looks like so much fun and great attractions! Hope you had a lot of fun! Amazing place and pictures! hope you enjoy to the max!!! Wish you a great 2017! Wow! 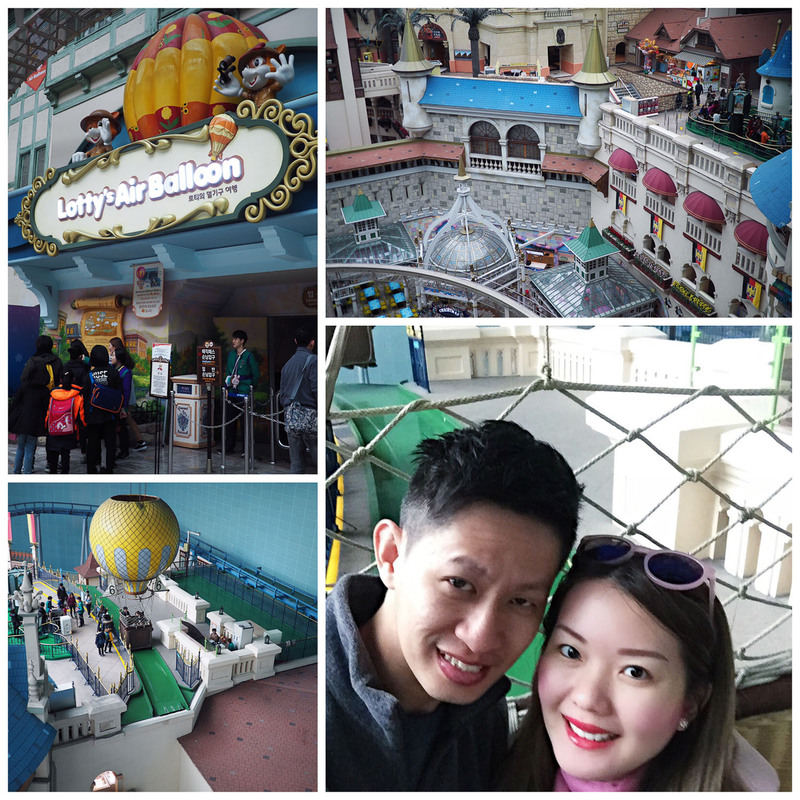 My fav are the Camelot Carousel and the Lotte’s air balloons! And I probably would have tried the Giant loop! Haha! Those rides look so amazing. The drunken barrel has to be my fav! I wonder what that would feel like. I hope you had a lot of fun in them! Hi !!! 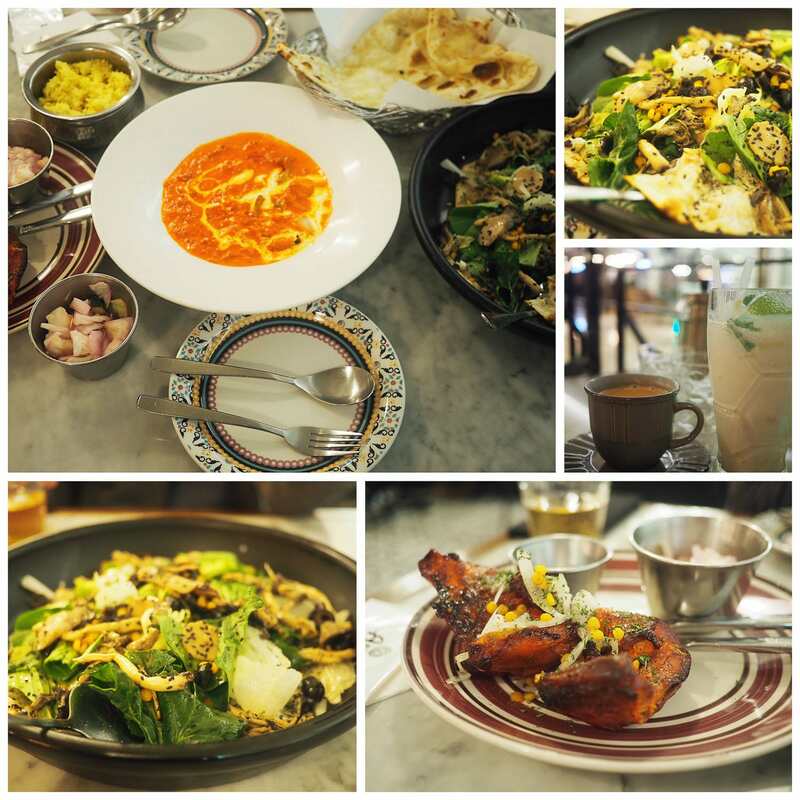 This was such an extraordinary, fun post !!! I am not adventurous at all when it comes to theme parks and rides but my husband and daughter love it all and would absolutely love to experience these rides ! Usually when we go to places like this me and my son watch as my husband and daughter do it all ! I love the way you described each and every ride and the pictures are so delightful and inviting! I am an absolute scardy cat when it comes to adventure ride! The giant loop looks really scary and I can totally imagine that feeling of heart dropping!! OMG I remember going to Lotte World when I was 5. That was so long ago, lol. I’m such a thrill seeker so I would definitely try Giant Loop and the Conquistador, lol. You look so great and I want to go back there, It’s changed so much and I can’t wait to experience it again!! 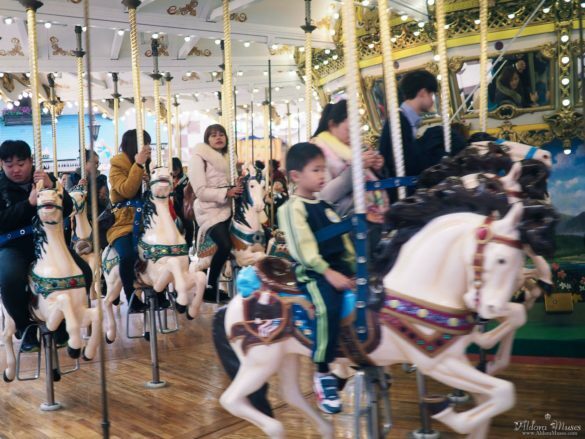 I went to Lotte World when I was young and I can’t remember any of the rides. This is such a great list and I hope to use it when I visit with my boys in a year or two. Thank you lovely and happy new year! I can’t tell you how much I freaking love theme parks and going on rides!! I’m definitely adding that to the every growing list of places to see once I go to Korea!! Looks like so much fun! 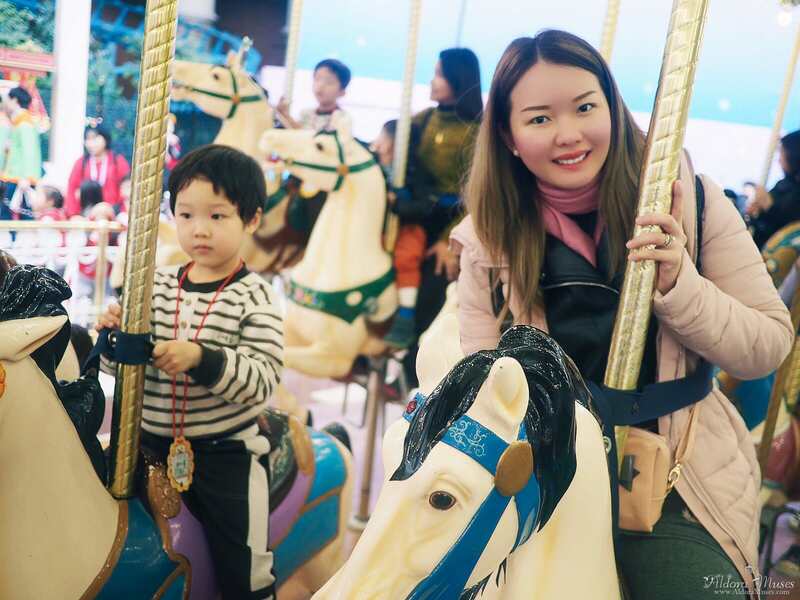 I like some more adventurous rides but my kids like the tamer ones LOL. I would love to visit there one day! Happy New Years! Amusement park is like my fave thing in the world! These rides look so fun, some resemble the ones in Universal Studio in the US! 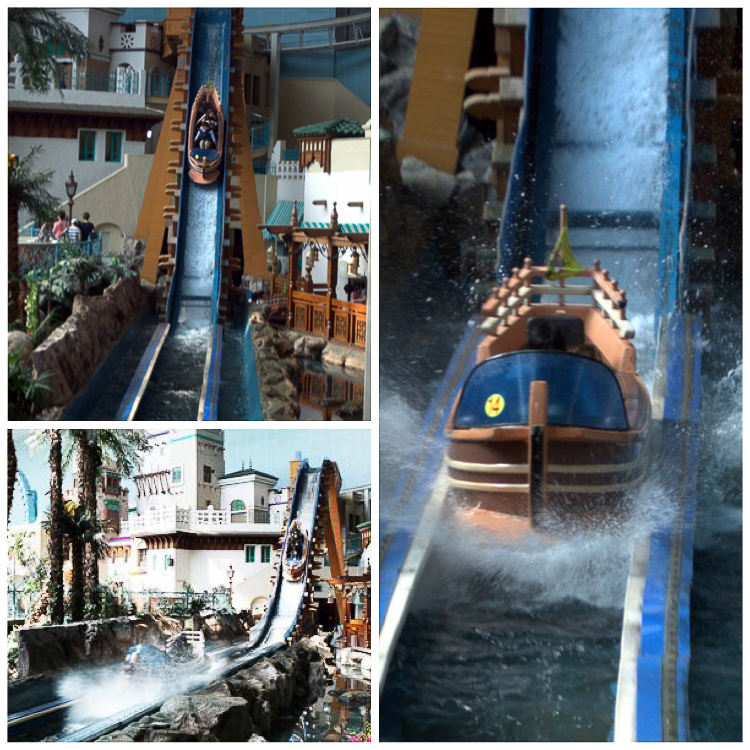 I generally don’t like log rides/waterfall rides, but the rest looks fun! 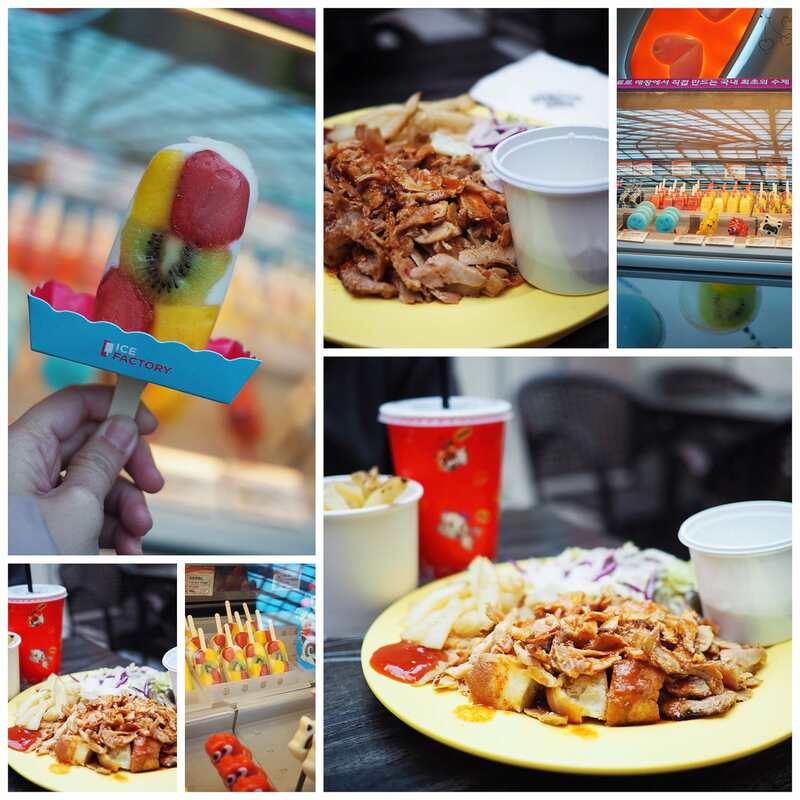 If I visit, I’ll definitely try these out and the more adventurous ones too. Oh my gosh! This looks so fun. I would seriously go on all of the rides. Love the ones you suggested too! Thanks for sharing this really cool place with us. Omg so much fun!! I’m an adrenaline junkie, so I would love this park! I also love that it’s indoor and outdoor. I would love the loop ride. I’m more into roller coasters! These all look so fun! I haven’t been to an amusement park in a while. I’m from FL so Disney was at my back door growing up! Would love to visit here. I used to be all for thrill rides but at the ripe old age of 27 they make me sick now. lol Have a beautiful week! Hi babe!!! i enjoyed reading this amazing post!! It’s filled with excitement and adventure!!! Your video was sooooo fun! Aw man, I’m really wanting to go to Korea since you’ve been posting so much about it! That hot hair balloon ride would make me so scared! All the other rides seem kind of tame. Well not really, there’s a lot of roller coaster rides. Haha. Looks like you had such a blast with your husband though! I’ve been only to a few amusement parks but it’s always been such a fun experience! I have to say that some of the rides makes me scared but I enjoy the adrenaline rush after taking them. Again I’ve never been to Korea, but it’s definitely one of my most desired places to go! Mostly because I’m obsessed with Korean food and skincare! I’m so happy for you having the best time ever in Korea! Wishing you to have many more awesome trips like that in 2017! watching your videos makes me so excited and feel like a kid again! Would love to ride that Flume ride. Such a great place to visit to forget all our problems. This amusement park looks so fun! I loved watching your videos! Sent me straight back to being free as a kid 🙂 And I would have definitely done the Loop! Thats my kind of ride haha! Wow! So jealous of your adventure! Everything you did seems and looks so fun! I loved the video you put together! This looks all amazing! Such a fun post! 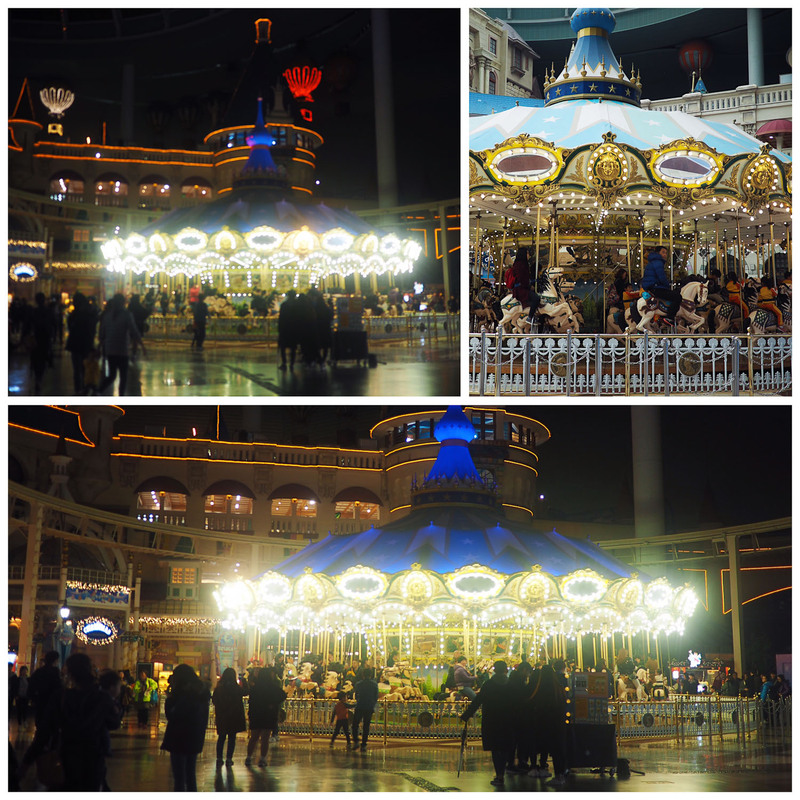 I went at Lotte world over 2 years and I’m realizing I missed a lot of rides haha’ ! It was in december and it was so freewing we couldn’t ride the attractions outside. 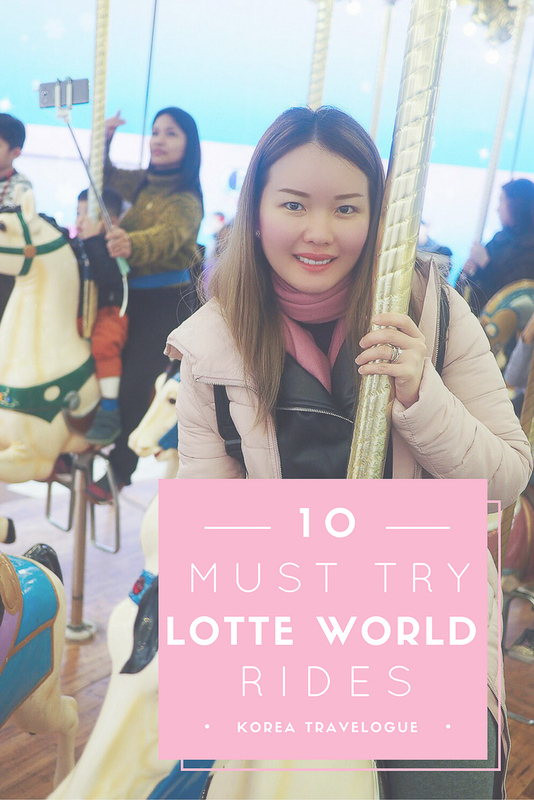 We are planning a day at Lotte World and wondering whether we should get the combo tickets inclusive of Magic Passes. There is 3 and 5 Magic Pass option will it be worth it? Which one should we get? We are not into Thrill Rides either.